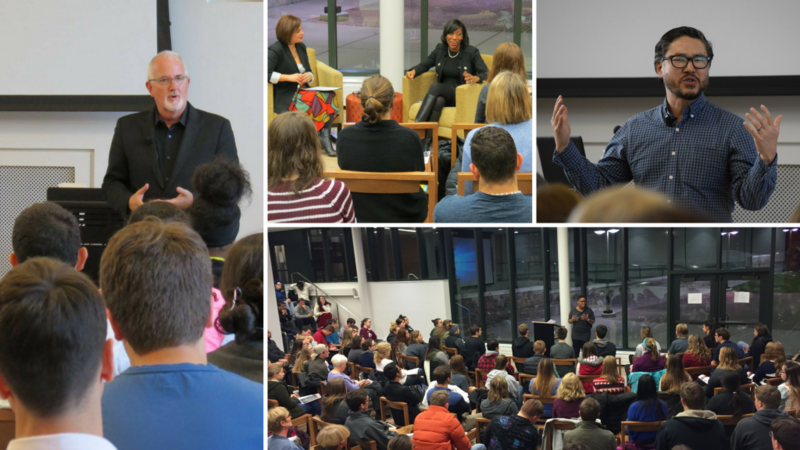 The Pathways to Purpose Speaker Series brings dynamic alumni and other exemplary practitioners of leadership and service to campus to help expand student imagination about pursuing purposeful work and a meaningful life in response to the deepest challenges of our time. Pathways to Purpose events offer a variety of touchpoints for students, faculty, and members of the Valparaiso community, including informal conversations around lunch or dinner, classroom visits, interview-format discussions, and formal presentations. We welcome a wide cross-section of attendees, believing that when we bring together students, professors and people engaged in these issues outside a university context, we generate the most momentum for engagement, learning, and change. If you have an interest in participating in a Pathways to Purpose event — as a speaker, attendee or co-host — please contact Thais Carter at thais.carter@valpo.edu.